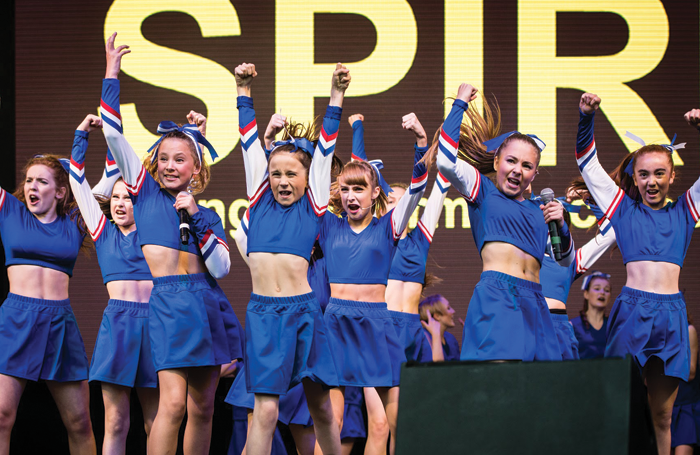 Last year, the Spirit Young Performers Company partnered with The Stage for the first time, offering a selection of places on its unique curriculum of musical theatre and dance training. SYPC and the associated Spirit Young Dance Company have created a new model of showcasing student talent. Each week, the company professionally films a different showcase and then streams it online to its own YouTube channel. This digital innovation has proved extremely popular, as Spirit founder and company director Sophie Boyce explains. These viewers regularly include industry professionals, casting directors, agents and talent scouts, leading to groups performing on prime-time ITV, at the Royal Albert Hall, West End Live and the O2 Arena. This year there are three scholarships on offer: one full scholarship covering musical theatre and dance plus two half-scholarships for musical theatre and dance. The academy has been running for five years and is currently operating classes for 200 students. The faculty is made up of a mix of highly trained dance instructors and a selection of West End professional practitioners. To supplement this, every week a new professional from either the West End, TV or film will run a masterclass. They may be a performer or a casting director, choreographer, dance captain or musical director. The school has a strong success rate at professional auditions and every cast change of Matilda the Musical has featured students from SYPC. Audition requirements: Applicants applying for The Stage Scholarship attend the same audition as regular applicants. Musical theatre and dance company applicants will be taken through a series of dance classes and exercises. Musical theatre and singing team applicants will be asked to sing a song of their choice. All applicants will have a short interview with our panel to learn about their goals and ambitions.